Ever hear of the brand PRGR also known as PRO GEAR in Japan? They are the golf division on the colossal corporation known globally as Yokohama Rubber Company. They started producing golf balls in 1983 then created two full carbon driver’s known as the M-1 and M-2 that same year, yes carbon drivers back in the early ’80s. PRGR has always been at the forefront of innovation and technology with everything from rocket engine parts, F1 racing tires, electric car concepts back before it was considered feasible and a whole lot more. If you want to understand the full extent of their power and their long history with technology at the bottom of this blog post I will have some links for you. 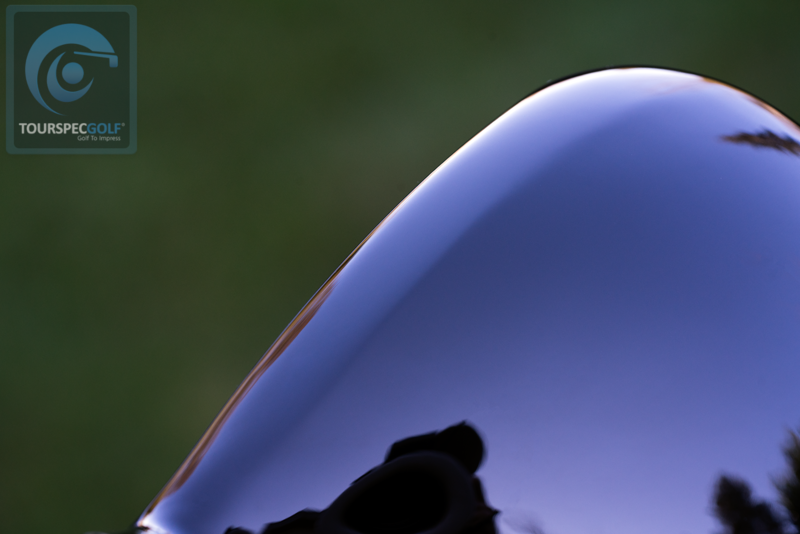 They have better technology than the U.S golf OEMs without a doubt and should not be overlooked. Heck, the smoke and mirrors of U.S domestic clubs have got your attention why not consider PRGR that has a substantial history of creating market-leading products in multiple industries. This is actually the second PRGR RS that I have tried. The first one was the RS 2017 driver which was supposedly an improvement over the first generation RS which was kin to the infamous RS-F which was called out for having parts of the face exceeding the COR allowed by R&A. PRGR had to recall all of the RS-F drivers and replace them with all black “Prototype” colored heads that went through in house testing to make sure COR was within limits. When RS-F 2017 came out, people said it wasn’t as hot off the face as the original RS-F, however, I for one, thought that the feel off the face was much better compared to the original. 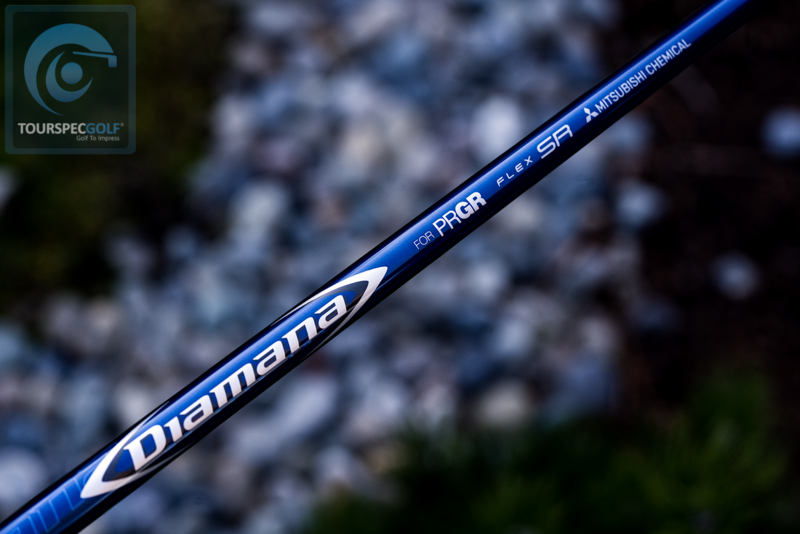 So I recently had the chance to test the PRGR RS 2018 10.5 deg shafted with a Diamana SR shaft. Looking closely at the shaft, I noticed that it was a “made for PRGR” shaft which is different from any of the aftermarket Diamana shafts. PRGR fans are actually more accustomed to having stock PRGR logos shafts with PRGR logo and the M-40 or M-43 designation but this time around, PRGR went with an aftermarket looking shaft made by Mitsubishi specifically for PRGR RS driver. Before I get into my hitting impressions I’d like to go over the technology. The 3 main design points to remember are 1. This RS has a deep center of gravity and it is easy to draw; 2. It has a high moment of inertia and easily flies straight; 3. It has a slightly shallow face making it easy to raise the ball. 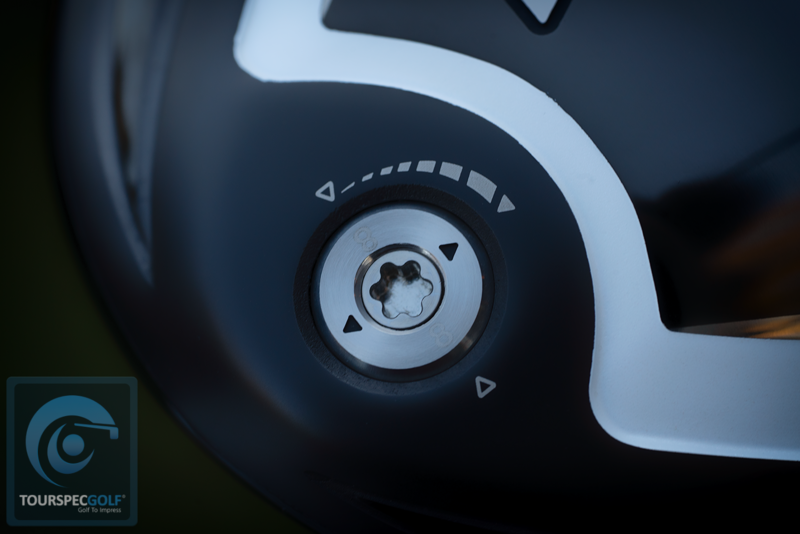 It also features an adjustable hosel which lets you increase or decrease the loft as well as change the height of your ball flight and the bias to choose to hit high draw, mid draw or high fade & mid fade. PRGR is a multiple industry leader in innovation for example years ago they created the concept and launch monitors to monitor grip speed which they still use today as a valuable tool to measure performance. 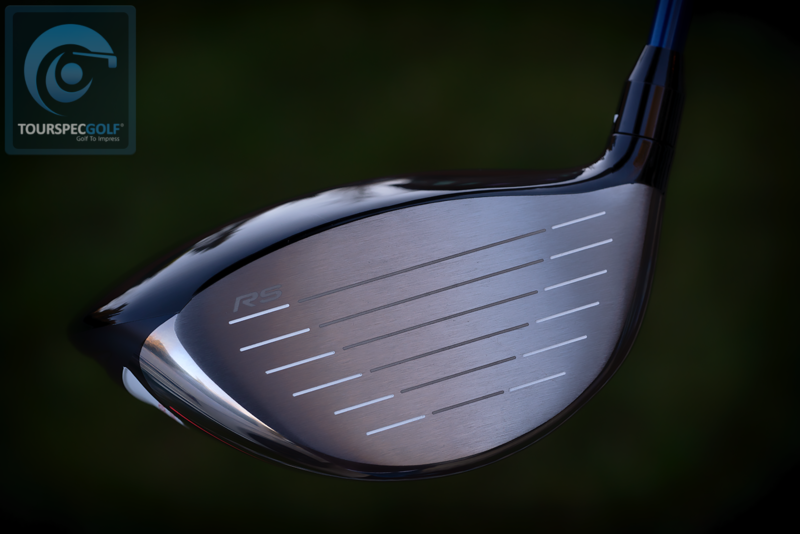 PRGR does many things differently including offering their drivers standard with -2.0 or more open face angle with designs that counter act the face being left wide open. This makes for a better look and still accomplishes the flight required for the intended player it is made for. 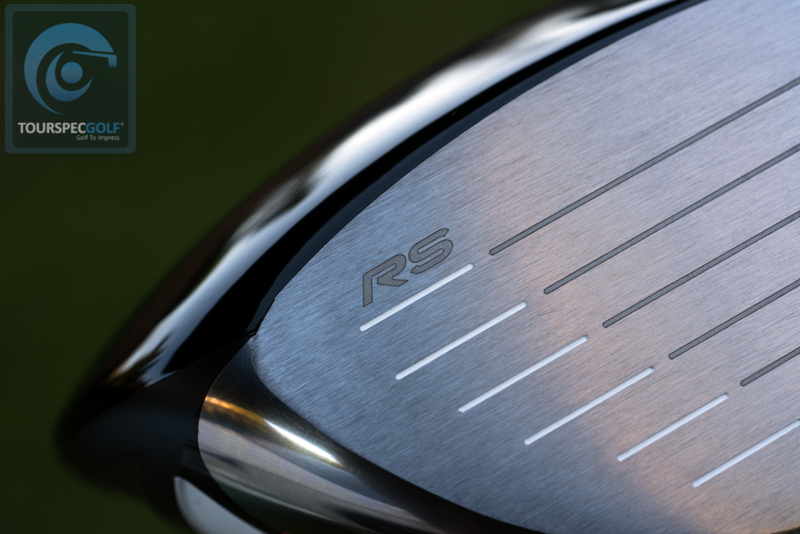 At address, the 2018 RS head has a rather pronounced elongated shape from face to back which provides a sense that this head will be very forgiving. Traditionalist may not prefer this type of shape, but people who are used to PRGR heads would have no issue getting used to looking at this head. The bulge on the tail end side sticks out a bit more on the heel side of the crown and looks like it will be easier to draw the ball. As you move forward to the face end of the crown, you will notice the steeper angle down to the face which is known as the “W” crown which is their proprietary design to produce the “GiriGiri” (meaning “extremely near the limit”) performance. With the 2018 RS, they were able to increase the high velocity area of the face by over 60% compared to the previous model! 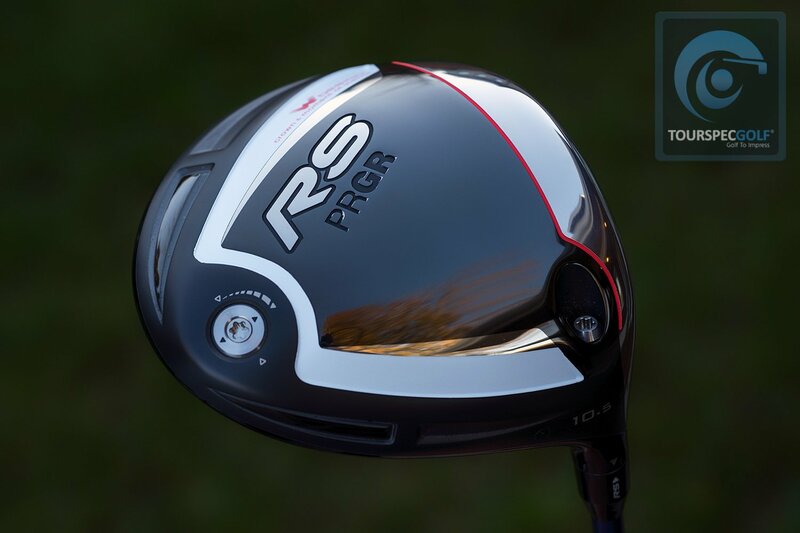 The PRGR RS Driver has a Titanium (Ti – 6Al – 4V) Forged face with a Titanium (Ti – 8Al – 1V – 1Mo) Cast body. 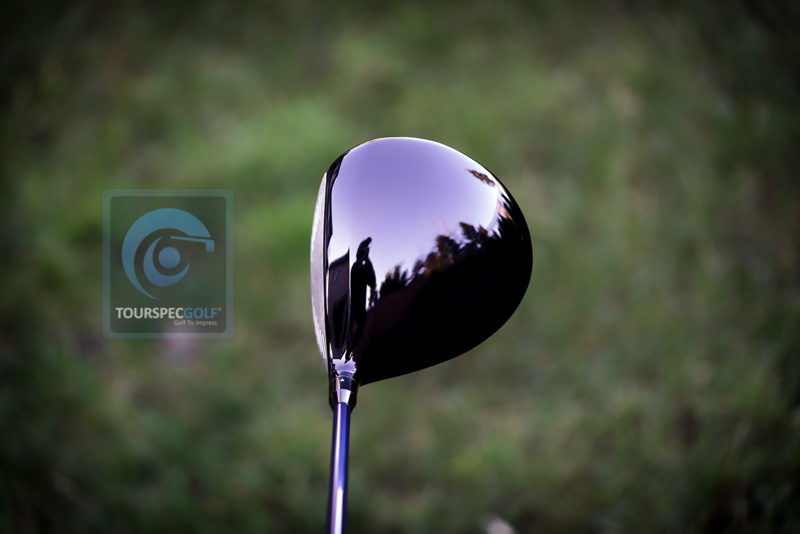 It has a 460cc size, a 59* lie angle and a 45.5″ stock length. I normally use a Stiff shaft so I needed to swing a bit easier to hit it straight. I also turned the adjustable hosel so that the loft is set to -1 deg (9.5) which is what I would normally select. First hit was off the toe…. I think I gave it a bit much gas…. toe down effect kicked in and so I had to throttle down a bit more. Second time, I was able to catch the ball in the middle of the face and catapulted out with a very strong trajectory that seemed no different from what I would see with my full swing with my other drivers. Very tempted to try this head in a 9.5 deg loft with a shaft that matches my swing. The shot seen with this test unit gave me clear indications that this is a missile launcher!! The head is very forgiving and I was able to start working the ball left and right in no time. This shaft is also very neutral and would be a good fit for a very broad range of players provided that the flex fits your swing. In general I saw a mid to high boring trajectory which looked pretty low spinning to me. Distances were astoundingly good provided that I was actually swinging pretty easy. On the top tracer simulator at the range, I was clocking around 260 yards with roll which I classify as very long. 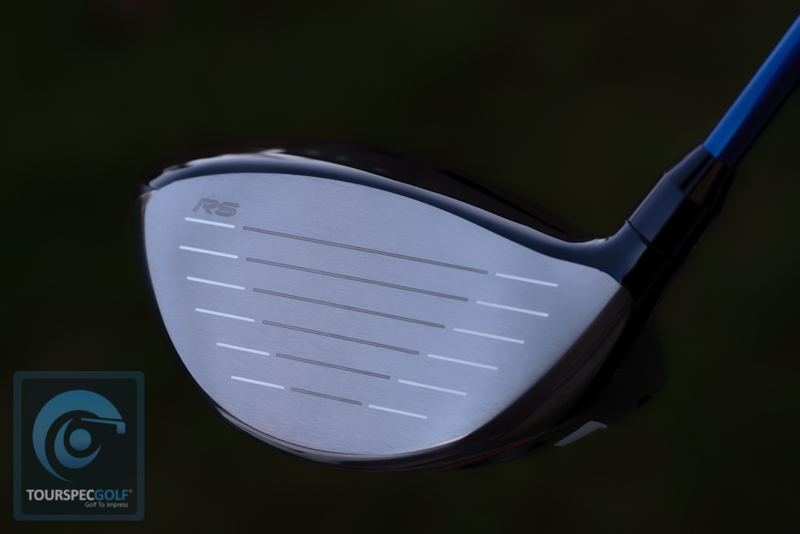 With the proper loft and shaft setting, I am confident that I can get this driver configured to equal the performance against any of my personal drivers that I have optimized for my swing. Feel was a slightly crunchy feel with a medium pitch metallic “ping” tone. Would classify the sound as lively but well behaved, it’s a good sound. Personally, I feel they’ve further improved the sound and feel over the RS ’17 drivers. 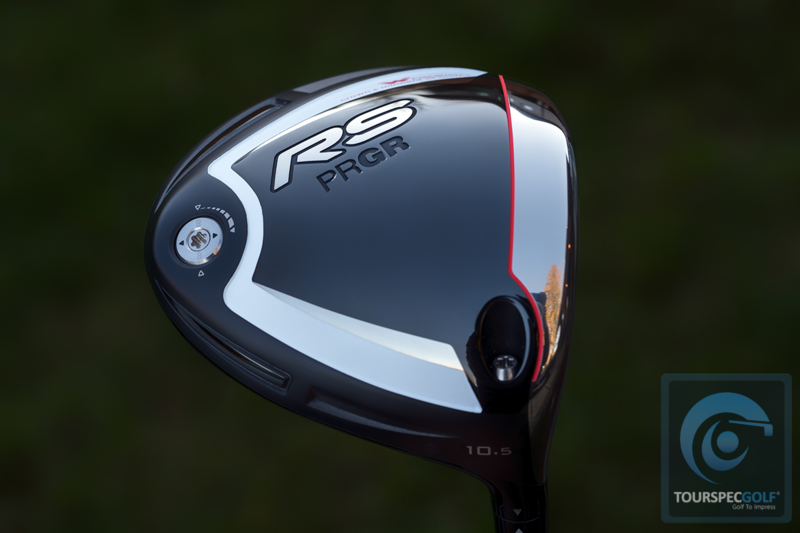 It is amazing that PRGR somehow found ways to tweak and improve on an already excellent driver. This should absolutely be on our short list of divers to try before the new season in 2019. Honma's New 2019 TW747P Irons - Review and In Depth Information!